Join SCARCE and friends for this eco-extravaganza! Individuals and families can enjoy interactive STEAM exhibits, sustainable retail, arts, crafts, and food. Get inspired with eco-lifestyle workshops and more! Color in Wally Worm and bring it to the fair for an eco-award! Live Broadcast: The Mike Nowak Show will be doing a live radio broadcast at the Green Fair from 10-11am. Wondering what to do with your eclipse glasses? Don't throw them out! We've got three options for you to reduce the impact of your eclipse viewing experience. Check out some local organizations making a big impact for sustainability in our community! 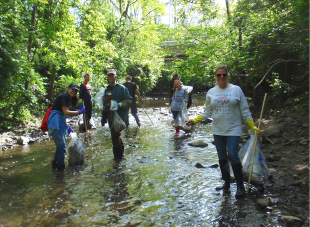 Domtar, of Addison, does a litter clean-up and we highlight the efforts to save local threatened species at the Urban Stream Research Center. Faith leaders - take collective action to educate your community on food waste and its socialand environmental impacts. Start planning now! Join College of DuPage for the first film in their Sustainability Film & Discussion Series. The film will be followed by a discussion with faculty and community partners. Support clean water in your community! Do a DIY project, connect with an existing event, or create a community event with a free Toolkit. Looking to get involved in eco-service? Get a behind-the-scenes tour of a water research lab while learning about volunteering through the DuPage County Adopt-a-Stream program. We need of strong volunteers that can help set up and tear down in the morning and late afternoon. Get free entry to the fair and some snacks! Volunteers must be able to lift boxes and potentially heavy or awkward items. Perfect for youth & college organizations! New native plants and wetlands add beauty and enhance stormwater absorption to benefit the surrounding community at The Preserve at Oak Meadows in Addison. 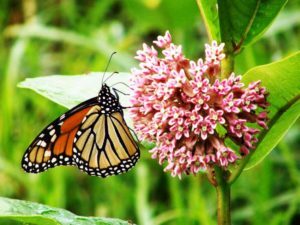 On August 25th milkweed joined the monarch butterfly as a state symbol of Illinois. Bring the Pumpkin Smash to your town on Nov 4th! Do you want a composting drop-off for your jack-o-lanterns so you can green your halloween? Contact us to find out if your town is already planning a collection - if not, learn the easy steps to get one started! Get a glimpse at the latest flood control feature to be completed from the Metropolitan Water Reclamation District of Greater Chicago TARP system. Registration Required. IL SB1420, signed into law in August, eliminates registration and fees for non-profits or government entities collecting grease or cooking oil for recycling. Great news for our cooking oil collection centers! Do you know a young person interested in film making? Get featured in the 2018 One Earth Film Fest and win a cash prize for a short film on a pressing environmental issue we face today. A great STEAM opportunity. 5-gal. containers of reblended paint available at Woodridge Greene Valley Wastewater Facility. Open to any DuPage County resident, non-profit, or business. Pick up Mon-Fri 8am-2pm on a first come, first serve basis. Limit 3 containers. View ongoing electronics recycling opportunities. View an online version of this list. Sept 14 Have You Tagged a Monarch Butterfly? McDonald's legal staff demanufactured non-usable binders for recycling during their visit. We are short-staffed! Help us unload, sort & shelve donations, and assist teachers with checkout. Calling all volunteers! We especially need help from folks able to lift for set up & tear down and to collect/transport items at the concurrent recycling event. Great for high school and college groups!